Fifteen years of ritual sacrifices that began before Alex Drummond joined the force have become an anomaly in Tranquil Heights. For most residents, anger at the unsolved murders has turned to disappointment with the small police force. Now citizens hope this year’s sacrificial lamb won’t be one of their loved ones. Alex Drummond’s ability to relive victims’ traumatic murders has not been enough. There are misguided links to Egyptian funerary rights, but without evidence and the murderer’s identity, no one outside of Drummond’s tight circle will believe him, let alone make an arrest and stop the vicious killings. After an anonymous tip, Detective Drummond discovers an annual visitor, a local who moved away years before with a similar flair for murder. He follows her to Washington DC after watching the woman burn her husband alive. His high school friend, Jessie Arturo, who settled in the large city after a failed baseball career, assists with the investigation. In such a large place, unsolved murders abound like cobwebs under abandoned guest beds. September 20, the serial killer’s anointed date, is only days away. How has the murderer proven so elusive, even from Alex’s paranormal abilities? Is he in over his head, or can Detective Alex Drummond save the ghosts calling to him and decipher this network of brutal, ritual sacrifices before someone else is burnt alive? I was pretty excited to read The Golden Bulls by Weston Kincaide. I had read A Life of Death and loved it. 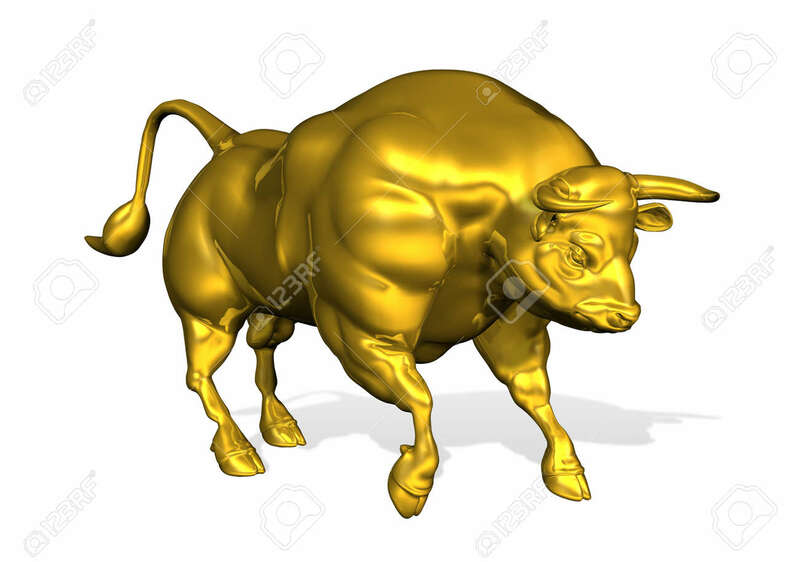 So when the author approached me to review The Golden Bulls, I jumped at the chance. Let’s say that The Golden Bulls more than lived up to my expectations. In my reading experience sophomore books in a series lack in various ways. Which is why I dread reading them. The Golden Bulls is one of those rare books that keep up the momentum from the first book. 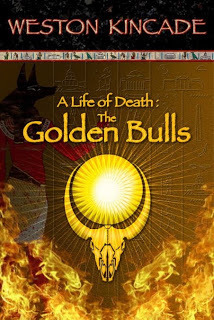 The Golden Bulls picks up 15 years after the events of A Life of Death. Alex is now a homicide detective and uses his powers to help solve his cases. There is one case that he has been unable to crack. One murderer who he hasn’t been able to see in when he flashes back to the victims’ murders. It is at that point where the book flashes back to Alex and his family picking up the fragments of their lives. That is when the first murder, a friend of Alex’s friend Jesse, happens. The book then goes back and forth between the past and the present until both storylines are merged. Alex wasn’t as tortured as he was in A Life of Death. He still had to deal with the flashbacks and was very careful about what he touched. The visions still took a lot out of him. I was actually very surprised when he met with the University professors. I was also surprised when he helped them with two bodies that they had found in Egypt. I didn’t think that his powers would work that far back. His reveal of the killer was very surprising. The care that it took to keep it from him was undone in one touch of a ring. The author chose to use ancient Egypt and their religious practices. 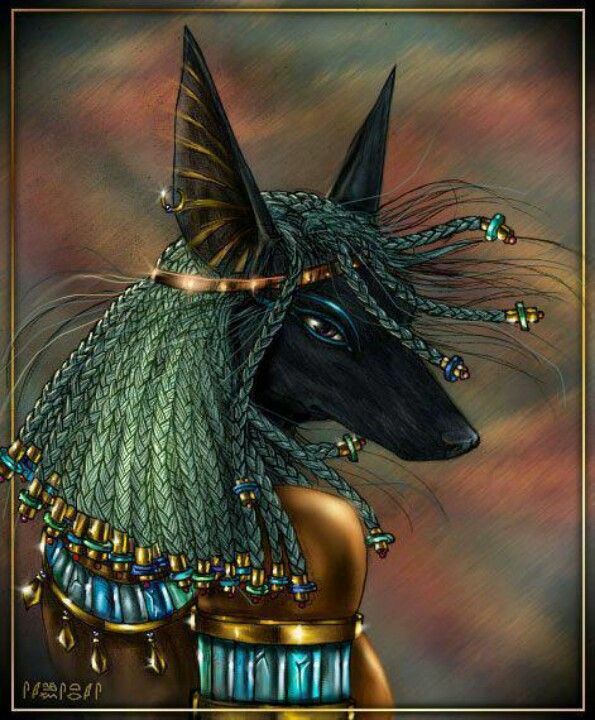 I have read books in the past where the focus has been on the gods and goddesses of ancient Egypt. But I have never read a book where the religions that sprang up around them were featured. Combine that with Alex’s gift that was 100% paranormal and it made for an exciting read. The book ended with a bang. I was not expecting the killer to be who it was. I also was not expecting who the accomplice was. To be blunt, I was floored by that revelation. I was also floored by Jamie’s revelation. It makes me wonder what is to come in book 3 and how Jamie will play into that. The Golden Bulls was a fantastic read. It kept me glued to the pages with a great plotline and memorable characters. I would reread and recommend it. All opinions stated in this review are mine. I also did not receive any compensation for this review of The Golden Bulls.